We asked Rovi to tell us more about this fast developing area which is incorporating interactive, advanced advertising into connected viewer interfaces. Connected viewing empowers TV like never before. Advertisers can now address andengage audiences driving awareness, consideration and purchase intent through interactivity and time spent with the brand, while using click stream for accountability. 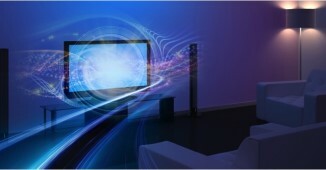 2013 will be a defining year in the evolution of TV advertising as homes become more connectedacross devices and the purchase of internet connected TVs gain momentum. There are a number of opportunities for advertisers including: advanced display ads, shown within TV guides, movie search and in-app environments that capture attention and drive viewers to rich media experiences within branded destinations. These branded destinations offer countless opportunities for calls-to-action, deepening consumer engagement and time spent with products and services. Rovi can develop campaigns that help advertisers drive awareness, engagement and revenue across the majority of sectors, delivering results for a wide range of advertisers. The process is simple and straightforward for both agency and advertiser.